SocoSIX is a Veteran owned, global risk services company that combines highly skilled experts and proven protection practices with the latest technology and intelligence to provide a full spectrum of security services across the world. 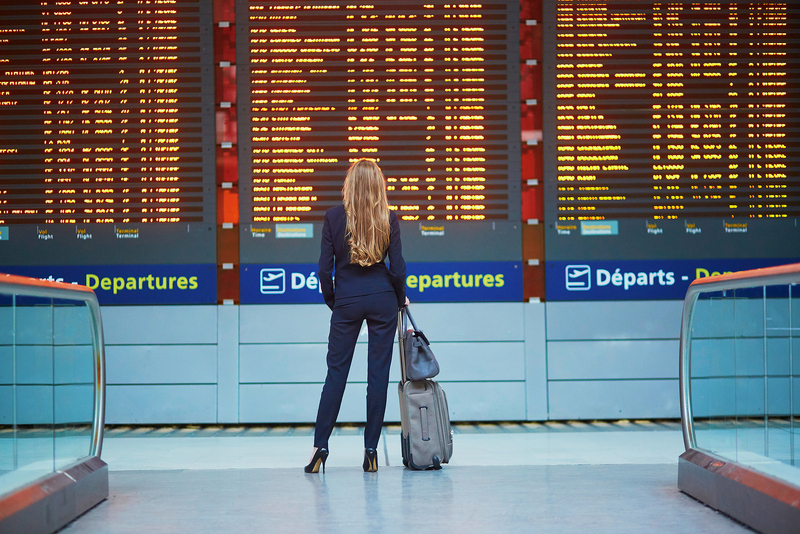 Our flexible, cost-effective solutions help clients make strategic decisions about global travelers, physical assets, safety and security operations so they can operate their business with confidence. By combining technology and refined processes with highly trained, hand picked professionals, we are raising the bar for protection services, travel security and crisis response across the globe. There’s a difference between information and intelligence. Our technical approach accesses tremendous amounts of information, sifting out the noise, using technology to push actionable intelligence to our customers so they can make sound decisions. We help companies determine if they are appropriately managing their business to their desired level of risk tolerance by assessing threats, collecting and analyzing data, designing new security programs and testing existing ones. Be prepared. Our training team is comprised of former law enforcement, FBI, military trainers and corporate security experts. We can't predict attacks and crisis situations, but we can help put tools into place that help us survive them. Our team of investigators have decades of experience providing a discreet and unobtrusive service across many specialties including internal corporate investigations and outside criminal activity both in the United States and around the world. The scarcity of talent and reliable personnel often makes it cost prohibitive to hire desired experts in certain countries, departments, or specialties. Our embedded experts and specialists fill this void, whether needed a month, a year or intermittently to round out your security department. 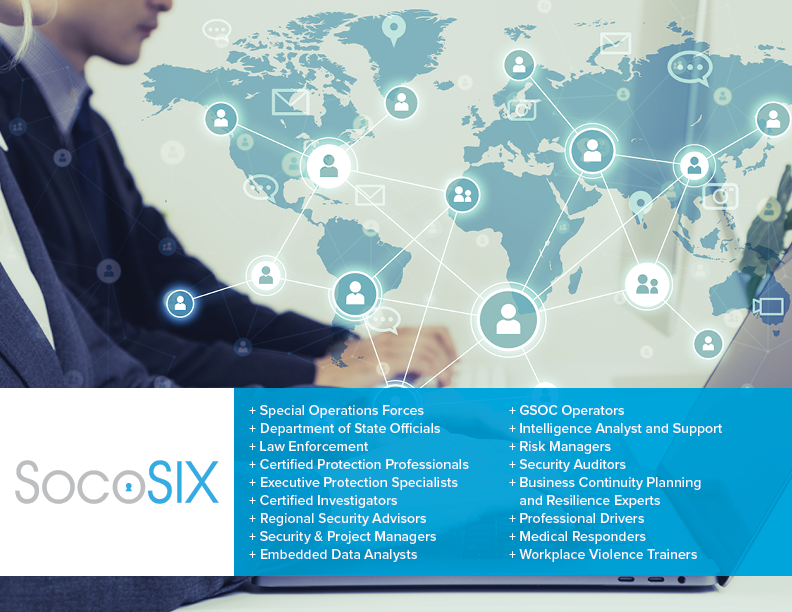 SocoSIX is comprised of a multigenerational team that is drawn from the ranks of U.S. Government departments and agencies, retired members of the Foreign Service and U.S. Special Operations. With deep roots in the United States Military, we provide great opportunities to the talented ranks of servicemen and women to leverage their training and skills in the private sector. 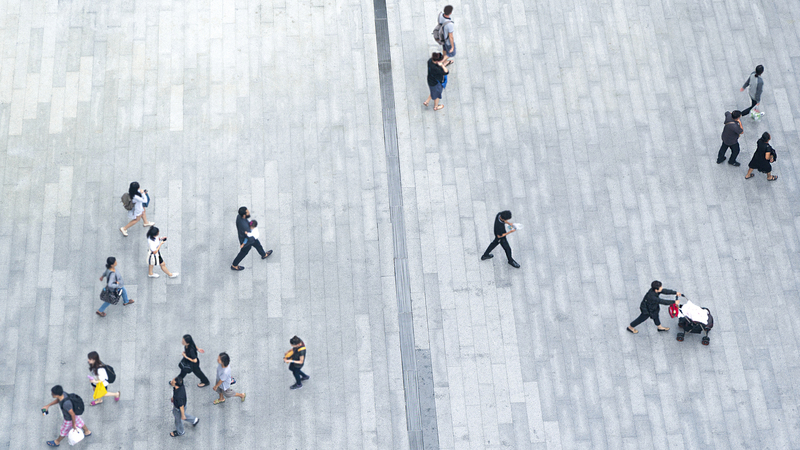 This distinguished talent alongside our highly experienced corporate and private security experts gives SocoSIX clients a full spectrum of resources to support nearly any security challenge.